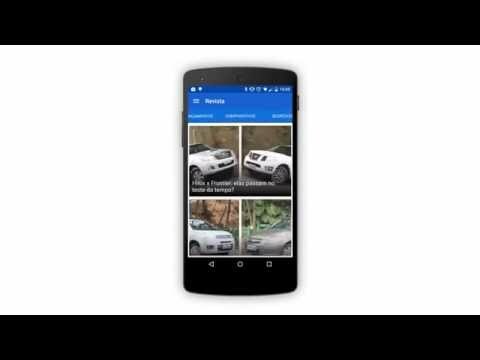 The most complete application to buy and sell cars in Brazil. FIPE Table, Financing, 0km car catalog and news. Download the app now, it's free! Buy your car without leaving home. Find thousands of used new and used cars for sale from across the web. Filter the results and see offers in your area. Make a financing simulation and know the amount of installments you will pay on the financing of the car you have always wanted. Advertise your vehicle through the application and manage the information wherever you are, talk directly to a buyer and close a deal. Sell ​​your car in a practical and fast way. All model information 0km: photos, prices, data sheet and owner reviews. Compare the versions side by side and make the best decision at the time of purchase. Brands like: Chevrolet, Volkswagen, Fiat, Ford, Audi, Hyundai, Toyota, Honda, Renault, Citroen, Mitsubishi, Nissan and more! Know the average price of the automotive market based on the FIPE table. Consult prices and find the best deal to buy or sell. See how much the car has appreciated or devalued in the last 12 months. Read the top automotive news, exclusive reports, releases, car reviews, comparatives and more! New in Home. Now the home screen has more filter options to make it easier to search and help you find your next car. Automatic saving of the last searched filters. The next time you enter the app, your filters will be saved. Much faster and easier to find your next car. Take advantage of the iCarros offers. Do you already know the KBB (Kelley Blue Book) price? It is an institution that helps consumers make better-informed car buying decisions by providing information on the average transaction value of a car in a particular region. New FIPE / KBB stream. You can now view iCarros, FIPE and the new KBB prices. Simulate financing faster on any model in the catalog. Correction of BUGs. Correction of the error message when there is no data or Wi-Fi connection on the home screen. BUG fix does not display repeated values ​​in plans when there is no discount. Fix of the BUG to not display the discount with zero value in the plans. Fixed BUG when trying to call an ad that does not have a phone. Fix of the BUG that did not correctly calculate the minimum value to create an ad. Correction of the error message when there is no data or Wi-Fi connection on the home screen. BUG fix does not display repeated values ​​in plans when there is no discount. Fix of the BUG to not display the discount with zero value in the plans.